Another in a series of posts about children's classic books available for borrowing from our school library. The Story of Doctor Dolittle was written by Hugh Lofting, it was published in 1920 and was the first in a series of books about Doctor Dolittle and his adventures. In The Story of Doctor Dolittle we first meet the doctor with a soft spot for animals, who gives up treating people after his patients are scared away by his increasing number of strange pets. His wise old parrot, Polynesia, teaches him animal languages and he starts treating sick animals instead. Doctor Dolittle's fame in the animal kingdom spreads throughout the world and soon he sets off to cure a monkey epidemic in Africa, having all sorts of exciting adventures on the way. Hugh Lofting wrote and published ten books about Doctor Dolittle before his death in 1947, and a further two books containing both previously published and previously unpublished stories were released after his death. 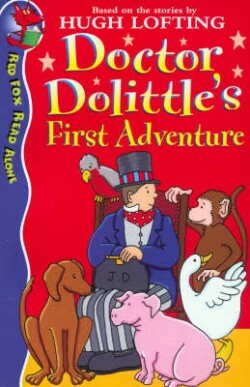 A number of movie adaptions and a television series have been produced based on Hugh Lofting's Doctor Dolittle books. 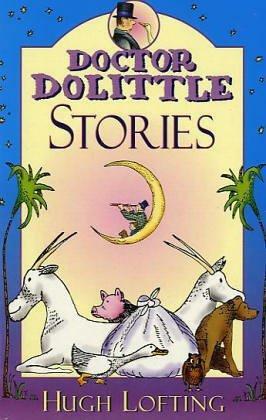 In our fiction section we have a copy of Doctor Dolittle Stories (which contains stories from all 12 of the Doctor Dolittle books) and a copy of Doctor Dolittle's First Adventure which has been adapted for beginning readers. 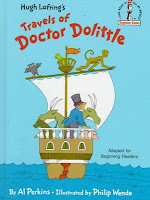 We also have a copy of the picture book Hugh Lofting's Travels of Doctor Dolittle. Upper Hutt Public Library has 5 copies of Hugh Lofting's books about the adventures of Doctor Dolittle in the Children's section and 3 DVD's. Most of the above information is from or adapted from: here, here and here. 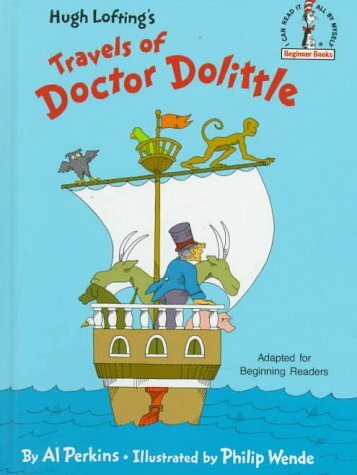 You can read The Story of Doctor Dolittle online here or here.